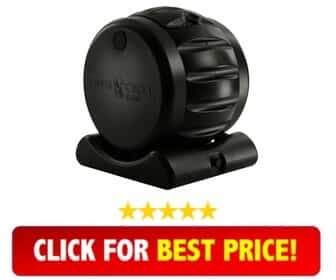 Yimby Tumbler Composter Review 2018 - How To Use It? Do you want to have a constant supply of compost that is fast, efficient and can hold more than its load? Then Yimby’s Tumbler Composter is perfect for you. Just put your compost materials in one side of the two-chambered device, leaving the other side to cure your compost. 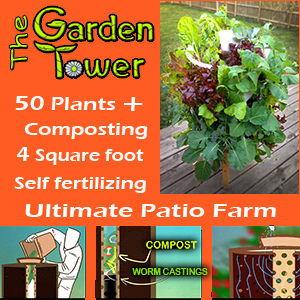 Just after a few days and a few turns, you have healthy natural compost for your garden. Although it looks a little big, with small hatches where you can put your compost, the Yimby Tumbler is very efficient and is a product you would want to buy. It is perfect for any type of location and its steel frame and recycled plastic bin make sure you can make more compost without worrying about its durability and strength. It has two chambers which can serve as curing station as well as storage for your finished compost. The bin is made of recycled plastic and is mounted on a steel frame, making it easy to turn and use. This product has adjustable air vents for regulating aeration within the container unit. 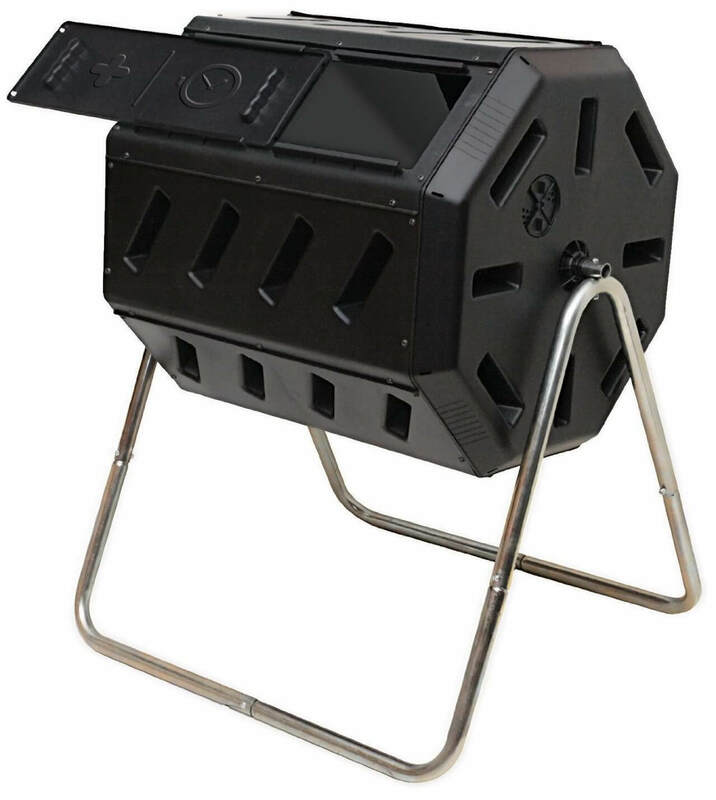 Capacity – It has a 37 gallon capacity for holding compost in both of its compartments. Composition Time – Although it has a huge compost capacity, it can make compost in as little as 2 weeks. Pest and Odor Control – Like other products, the Yimbly claims it can drive out pests and prevent odors from wafting out of the bin. Easy Assembly - Putting it together is also not a problem for customers who gave positive reviews about this product. Although it looks thin and light at first, as you start filling it, the bin holds up the compost without ruining it. It is very easy to setup and use, especially while shipping the barrel to mix the compost. 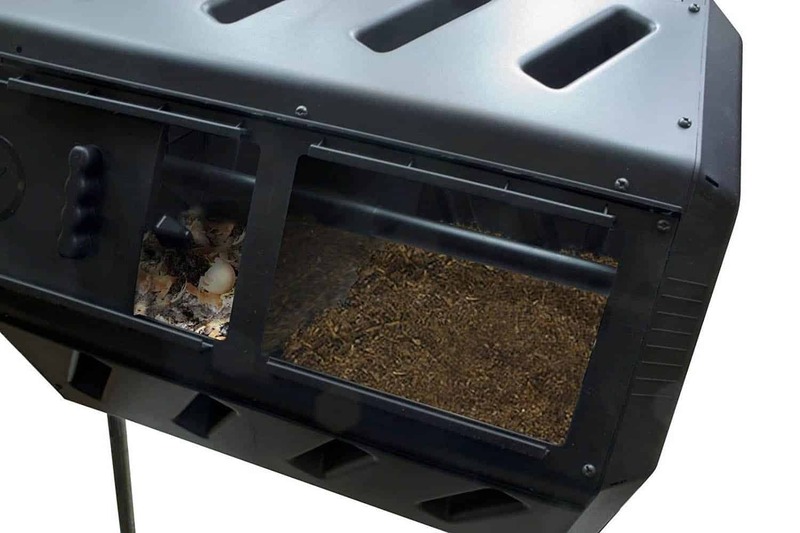 Dual Compartments - Some users positively comment about the two compartments of this tumbling composter because while one side cures, the other container can be used for a fresh batch. Built To Last - Some users contradict the negative reviews, stating that this product can last for years even in harsh conditions. Some other users praise this product for its shorter composting time and even commented on the good quality of the compost it can create. Affordable – You can buy a Yimby Tumbler for as low as $100 and it comes with free shipping from some sellers. Small Opening - The opening is somewhat small, making it hard to put larger pieces of compost inside and getting it out. Assembly is difficult too as the screws don’t hold up properly, the framework can easily bend and the material is on the lightweight side. Capacity Issues - Some users complain that this composter is very heavy, especially when you fill it up with compost. Some report that this product does not have the capacity to hold 37 gallons of compost because it slowly shows signs of breaking down. Is The Yimby Tumbling Composter Right For Me? The Yimby (Yes In My BackYard) composter is relatively easy to assemble, however, time will need to be spent to ensure mistakes are not made. As it is made of lightweight materials, it can easily be assembled and then moved to a desirable location once constructed. Once completed, the composter should be sited outside in a cool, shaded area to prevent the composting material from drying out prematurely. While sunlight can help to heat up the internal temperature which makes the fungi and bacteria work faster, too much heat will destroy them. 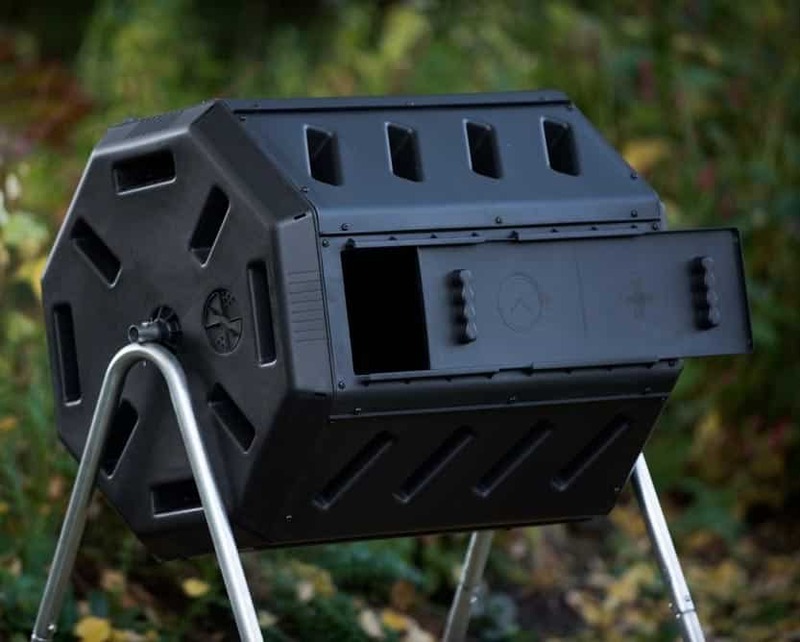 If you live in a cold climate then a sunny area may be preferable, however, the composter should be able to generate enough heat on its own through the decaying process for sunlight not to be required in most regions. 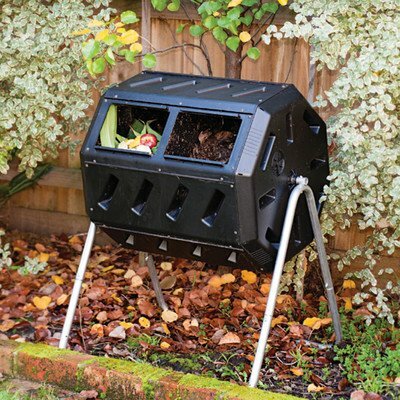 A dual-chamber composter offers the quickest and most efficient way to make compost. The Yimby Tumbler has two main advantages which help speed up this composting process. Turning the rotating drum will break up the decomposing waste, allowing air to circulate more readily through the pile. By aerating this mixture, you essentially feed and stimulate the bacteria which is working to turn waste into compost. Even when full, the drum is easy to turn and requires little physical strength to rotate. The main difference between using one and two chambers in a composting system also helps speed up the process. With one chamber used to “cook” the waste while the other stores waste material to be used in the next batch, the composting process is uninterrupted. A batch of compost is only ready when all of the waste has been transformed. Therefore, adding more ingredients to the mix will effectively reset the clock on how long you have to wait for completion. In using a composter which has two chambers, you will have your whole composting system contained within one unit rather than requiring a separate storage area for your kitchen scraps before letting nature do its thing. The whole composting process should take between two to six weeks. This will depend on the type of materials being broken down and the environmental conditions where you live. Within this period, spinning the barrel should be done at least once per week and no more than twice daily for best results. As well as rotating the drum, you should also periodically check the quality of the material inside. Compost should ideally feel damp but not wet to touch for optimum efficiency from the bacteria. This is easy to correct and should be monitored every few days to ensure your composter is working at peak efficiency. To ensure you get the best results from your composter, adding the correct balance of scrap materials is the key. You should aim to have an even amount of green and brown waste ingredients in the mix. Green waste is the term given to organic, carbon-based matter while brown waste is dry ingredients such as fallen leaves, newspaper or straw. Then this might be the right one for you. 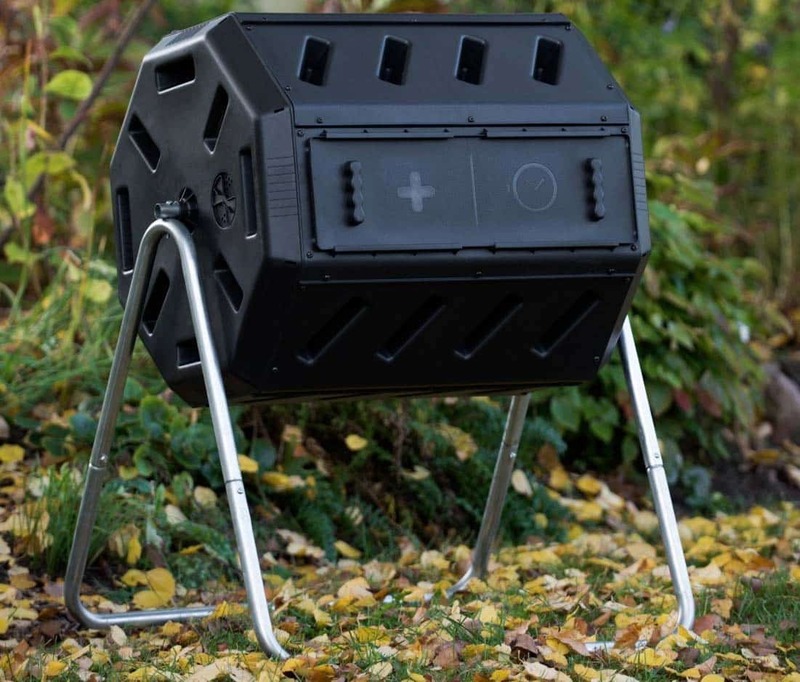 In a nuteshell, if you want a composter that is light, efficient and works well for your patio, lawn or garden, the Yimby Tumbler Composter is one of the major contenders you should look at. It may have some flaws but it does the job well.